Are you searching for CIL Recruitment 2018? Coal India has issued notification for filling up Medical Executive-Post. There is 528 Vacancies are available for Coal India Recruitment 2018. Interested applicants must apply online from 29.June.2018. Before applying candidates should check eligibility criteria, age limit and pay scale for CIL Vacancy 2018. Online Registration will be closed on 28 July 2018 for Coal India Jobs 2018. Here we gave you complete details about CIL Jobs 2018. 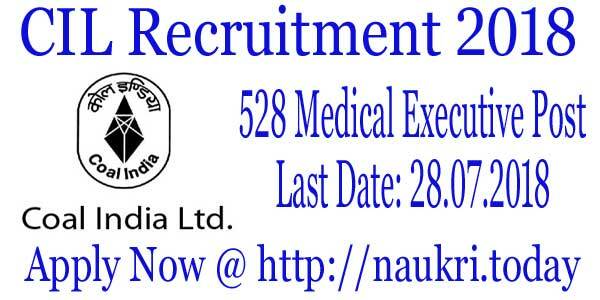 Coal India, West Bengal has declared 528 Medical Executive Vacancies. Applicants can fill up their application form for Coal India Vacancy 2018 from 29.June.2018 till 28.Jul.2018. Here we available you link to apply for Coal India Recruitment 2018. Coal India should select candidates on the basis of an interview for CIL Bharti 2018. Participants should read given below information carefully regarding CIL Vacancy 2018. Fresh Update as on 10.07.2018: Hello Friends, Coal Indian has announced 528 Medical Executive-Post. Participants should check eligibility criteria, age, and pay scale for CIL Recruitment 2018. Eligible candidates should apply online form links given below. What is the Important Date for CIL Recruitment 2018? Applicants should enter their general details carefully in an application form for CIL Recruitment 2018. You may find here information about qualification, age and pay scale for Coal India Bharti 2018. Here we gave you links to download CIL Notification 2018 which may help you to collect more details. Candidates should complete their MBBS Degree from a recognized university. Applicants may also have 3 years of experience connected with the spatiality from a Hospital/ Clinic. For furthermore details aspirants should check official Coal India Notification 2018. Participants should download CIL Notification either from the official website or from links given below. Coal India should pay a good amount of salary to the selected candidates. Selected Participants salary package is Rs. 29,100/- to Rs. 54,500/-. Coal India may also other allowance according to a posting of candidates. To collect more information applicants should download CIL Recruitment 2018 notification. Here we provided you links to download Coal India Notification 2018. Coal India should select aspirants on the basis of Interview. So applicants must enhance their knowledge in their field. An interview will be taken by experts of Medical Field. For more information regarding CIL Medical Executive Bharti, 2018 2018 Participants read official notification carefully. Participants need not pay an application fee for Coal India Medical Executive Recruitment 2018. An application should check official notification of CIL Jobs 2018 for furthermore information. 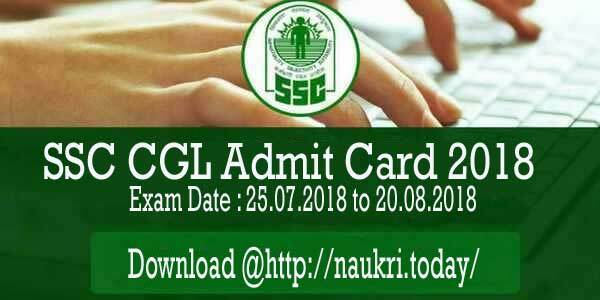 Aspirants should fill up their application form CIL Bharti 2018. Candidates can pay their application fee through Internet banking, Credit Card, and Debit Card for CIL Medical Executive Vacancy 2018. Here we provided you easy and simple steps to download Coal Indian Recruitment 2018. After that candidates will search for CIL Recruitment section at Homepage. Candidates should read complete CIL Notification 2018 carefully. Eligible candidates may click on Apply Online Option. After that aspirants will enter their details in application form. Participants may also attach Passport size photo and signature in an application form. After that candidates should submit their application fee. Applicants must note down ID Password and Registration Number for feature use. Conclusion: Coal India, West Bengal has issued notification for filling up 528 Medical Executive Vacancies. Interested Applicants must be registered online for CIL Recruitment 2018. Check Here eligibility criteria, age limit and Pay scale for Coal India Vacancy 2018. Coal India Limited has released recruitment advertisement for 1319 Management Trainee Post. If you are looking for Jobs in Coal India limited then apply online application for CIL Recruitment 2017. Online Registration for Coal Indian MT Recruitment 2017 has been started from 05.01.2017. Last date for submit CIL Jobs Online Application is 03.02.2017.Coal Indian CIL is inviting online application for recruiting candidates on 1319 Management Trainee Jobs. Candidates who are waiting for Coal India Recruitment 2017 have a chance to apply online application. For more details about CIL Management Trainee Vacancy 2017 like age Limit, Required qualification etc. you can check given below details. For Post No. 01 to 07 : Candidates should have done B.E./B.Tech./B/Sc.AMIE in respective Stream with minimum 60 % Marks from any recognized University for CIL Vacancy 2017. For remaining Posts : Applicants must have done Graduation Degree/ Post Graduation Degree/ MBA/ CA/ICWA or equivalent qualification for Coal India Limited Jobs 12017. you can check more details about qualification from official website www.coalindia.in or from official notification. Pay Scale For CIL MT Recruitment 2017 : At joining Time, Selected candidates will placed as Management Trainee in E2 Grade. In E2 Grade, Candidates will be paid pay band Rs. 20,600/- to 46,500/- (Basic Pay of Rs. 20,600/-) for CIL Management Trainee Jobs 2017. After Successful Completion training candidates will be shifted to E3 Grade with Basic Pay of 24,900/-. Pay Band of E3 Grade will be Rs. 24,900/- to 50,500/- for Coal India MT Vacancy 2017. Coal India Management Trainee Jobs 2017 Age Limit : Upper age of the candidates for CIL Recruitment 2017 should be 30 years as on 01.12.2016. Age relaxation is applicable up to 05 years for SC/ST Category & 03 years for OBC Category candidates for Coal India Limited Recruitment 2017. Application Fee CIL Recruitment 2017 : Candidates who are belonging from General/OBC Category should be paid Rs. 1000/- for applying Coal India Management Trainee Online Form. Non Need to pay any application fee by Other category candidates for filling CIL Vacancy Application form. Shortlisted candidates after written exam will called for Documents Verification & Interview. Final Selection will be made on merit list. 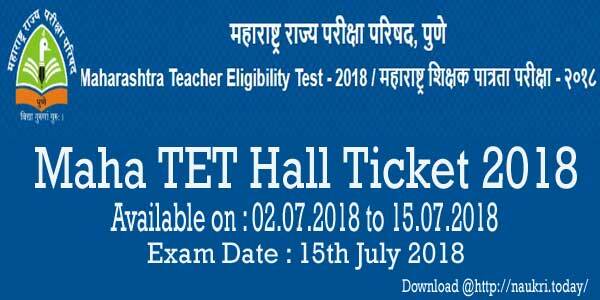 For more details about Exam, CIL Exam Syllabus check here. Keep visit this page for more updates related to Coal India Recruitment 2017. How I apply Online Form For Coal India MT Vacancy – CIL Recruitment 2017 ? Applicants visit to the official website www.coalindia.in. Now click on official notification link & read all the information from CIL Jobs Notification. Make all the details in online form without any mistake. Upload your Scanned photo & Signature in CIL MT Online Form properly. Then upload required documents in online application. Deposit application fee if required. Coal India CIL Recruitment 2017 for 1319 Management Trainee Jobs. Candidates can fill online form for 1319 CIL Vacancy 2017 on or before the last date 03.02.2017.